With a purpose-built vacancy rate of only 1 per cent, Toronto is desperate for rental. Only 8,485 units were added to the city’s rental market in 2017, an increase that is 44 per cent lower than 2016’s 15,288 unit growth. At the same time, more Torontonians are renting than ever before, with rental household formation in the GTA reaching 18,178 per year between 2011 and 2016. 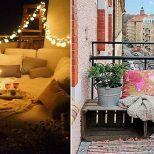 In order to better understand the current demand, BuzzBuzzNews has rounded up four charts that explain the ins-and-outs of Toronto’s rental market. 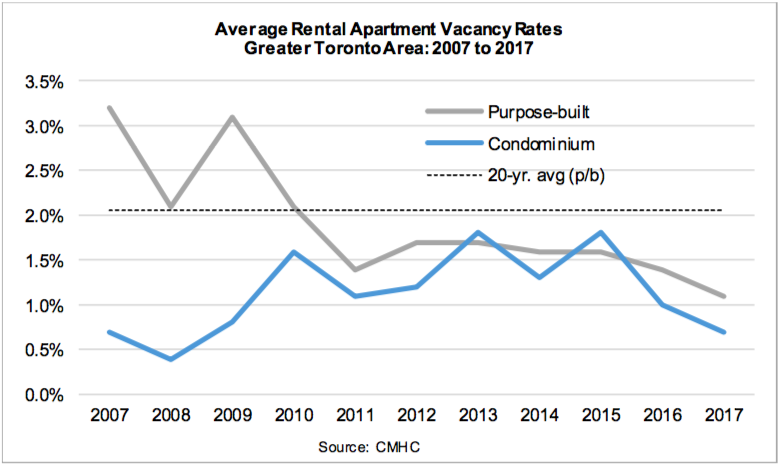 What’s going on here: Urbanation’s senior VP Shaun Hildebrand looks at the GTA vacancy rate for purpose-built and condo rental units over the last 10 years. The takeaway: The vacancy rate for both purpose-built and condo units has been well below the 20-year average for the last six years, but 2017 saw an all-new low of below 1.5 per cent. What’s going on here: Statistics Canada census data shows the annual rate of home ownership compared to the annual rate of renter household formation over the last few decades. 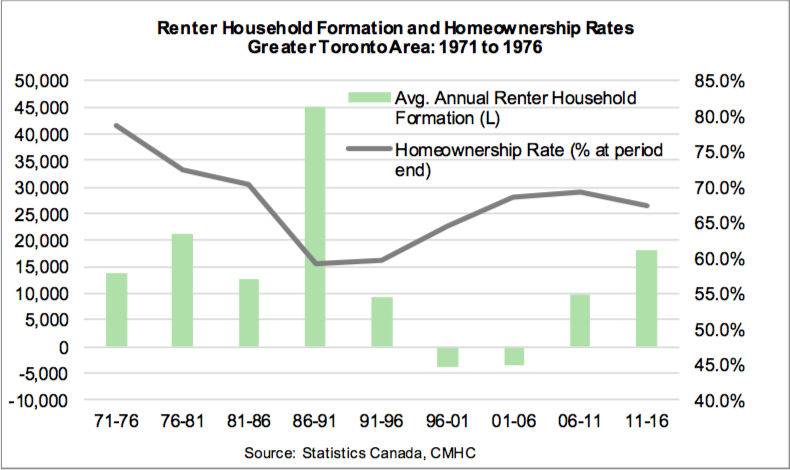 The takeaway: Renter household formation shot up in the GTA between 2011 and 2016, while homeownership rates began to fall for the first time since the 1980s. The increase in renter household formation and supply left a gap of 10,000 units in 2016. 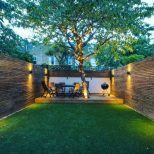 “This excess will carry forward and accumulate,” says Urbanation’s Hildebrand. 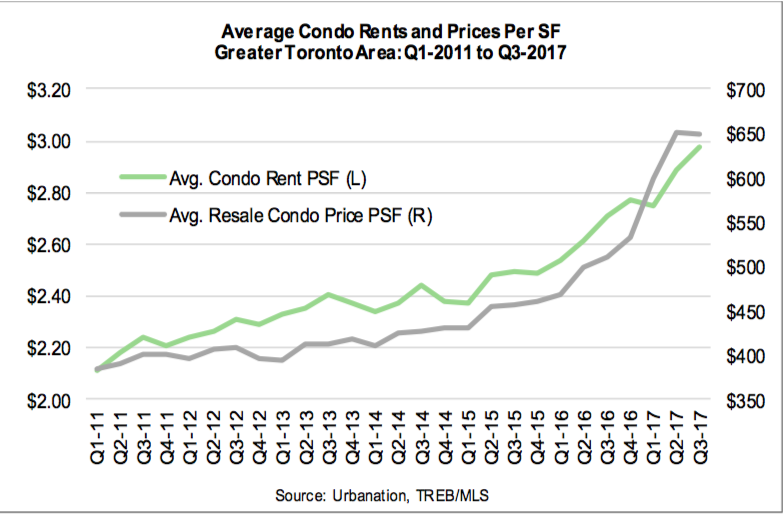 What’s going on here: Urbanation tracked the average condo rent per-square-foot against the average resale condo price per-square-foot, over the last six years. The takeaway: Condo rent prices are starting to dip below their resale price. 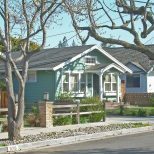 That means investors might opt to sell, instead of rent. “The 5,908-unit net increase in condo rental supply was down 59 per cent from last year — a dramatic pullback for a market that has relied on an annual increase of around 14,000 condo rentals since 2013,” writes Hildebrand. What’s going on here: The Canada Mortgage and Housing Corporation tracked the number of purpose-built rental units compared to condo rental units in the GTA over the last seven years. 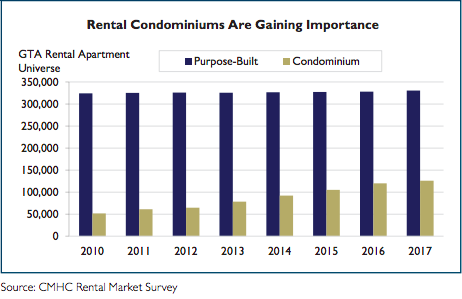 The takeaway: While previous years saw healthy increases in the number of condo units coming onto the market, there was virtually no difference in the number of units between 2016 and 2017. “In the 12-month period ending May 2017, the cut off point for the condominium survey, 19,234 condominium apartment units reached completion in the GTA. Its share of leased units edged lower to 47.9% in 2017 from 49.7 % in 2016 – restraining the increase in the rented stock,” writes the CMHC.